Pastor Greg Snow is a 1986 graduate of South Dakota State University, Brookings SD, and a 2000 graduate of Concordia Seminary, St. Louis, MO. 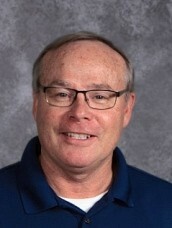 He served as Vicar at St. John's Lutheran Church, Chaska, MN in 1998-1999 where he was Called, and continues to serve, as pastor since June 25, 2000. In December, 2016 Pastor Snow was installed as our Senior Pastor. 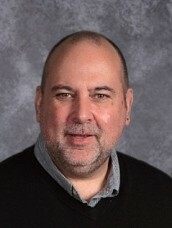 Pastor Snow is a 2006 PLI (Pastoral Leadership Institute) graduate, and in 2010 received a Certificate in Pastoral Counseling from Bethel Seminary, St. Paul, MN. He has a passion for outreach to the community and has served as the Pastoral Liaison for Love INC (In the Name of Christ), and continues to be very involved. Pastor Snow is a member of the Minnesota Crisis Consultation and Support Team, as well as the Chaplain for the City of Chaska Police Department. Developing relationships with city and county leaders, Law Enforcement Officials, and members of the business community allow open access for the love of Jesus to enter hearts that might otherwise be closed to the message of the Gospel. Pastor Snow is currently serving as Pastoral Representatvie for the Carver South Zone for LWML (Lutheran Women's Missionary League). He and his wife, Connie, share a heart for local, regional, and international mission work. Together they have been part of short term mission teams in India twice (2007 and 2010) and anxious to lead other teams to India, Uganda, and Haiti. In 2017 Pastor Snow and Connie took a 2 week mission trip to Israel. Pastor Snow and Connie are strong supporters of Lutheran Education and all four of their children have attended St. John's Lutheran School, Mayer Lutheran High School, and or Concordia, St. Paul. In their spare time they like to hunt, fish, and spend some much needed family time at their camper on Lake Augusta in Annandale, MN. We look forward to the opportunity to share the love of Jesus, God’s only Son, with you! I was born in Saint Paul but spent my childhood living in many different places. My dad was an engineer and his work took us to Illinois, Alabama, and eventually Mesa, Arizona where my parents still live today. Katie is from Cedarburg, Wisconsin, a charming little town north of Milwaukee. She has an older and a younger sister. The two of us met while in college at Concordia University Wisconsin and were married shortly after graduation. Moving down to Saint Louis, we began our lives together and I began seminary, eventually graduating in 2012. Our vicarage was in Elberta, AL, a very small town filled with amazing people about a half hour from the Gulf Coast. After graduating seminary, I was ordained and installed at Saint Luke Lutheran Church in Cabot, PA as the associate pastor. During my time at Saint Luke, I oversaw, amongst many other things, our confirmation program as well as care for our shut ins and hospitalized members. Katie began a mom’s ministry, taught a class for two-year olds and their parents called “Time for Two”, and taught junior high Sunday school. During our time in Cabot, God blessed us with two children: Benjamin who will be five in March and Anna who is two. When Benjamin is not in preschool, he is with his sister at home with Mom. When I am not working, I enjoy spending time with the family and going to community gatherings like street fairs and festivals. Katie is always dreaming up fun and interesting activities for the kids to do at home, that is when she is not working on projects for mom’s ministry or Sunday School. Pastor Holthus has been the visitation pastor of St. John's since 2011. He was a Director of Christian Education from 1975-2000. In the spring of 2000 he completed his theological course work for the pastoral office. 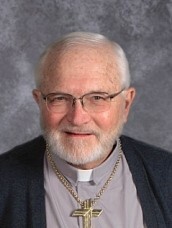 Pastor Holthus was the pastor of St. Mark's Lutheran Church in New Germany, MN until his retirement in 2008. In "post-retirement" ministry, he served three years as the pastor at Trinity Lutheran, Carver, MN until coming here to St. John's. Pastor Holthus is married to Barb and they have 3 daughters and 9 grandchildren. Gordon Thomas is a graduate of the University of Wisconsin-Superior with a Bachelor of Science Degree in Business Administration and a graduate of Augsburg College with Master of Arts Degree in Leadership. Gordon received the designation of Credentialed Christian Nonprofit Leader from Christian Leadership Alliance and Azusa Pacific University. He is also active in the Church Network (NACBA). Gordon has served the local church in administration for the past 20 years. He joined the St. John's staff in December 2014. He and his wife, Susan, live in Chaska and have two daughters and one granddaughter. As the Director of Parish Music, Julie Pallas directs the adult choir- Messengers of Praise, leads the contemporary worship ensemble, administers the school music program, directs children’s choirs, works with the Sunday School classes to sing in church and present their Christmas Service, directs the school Christmas Service and Spring Musicals, and plans and coordinates all worship activities at St. John’s. Julie graduated from Concordia, Seward, NE with a BS in Secondary Education , and a double major in English and K-12 music. After graduation she taught English and directed the choirs at Valley Lutheran High School in St. Charles, IL. She also taught English at Mayer Lutheran High School, Mayer, MN. Mrs. Pallas has worked with children’s and adult choirs at St. Mark’s, St. Charles, IL, and Christ Victorious, Victoria, MN before taking over at St. John’s. She considers herself blessed to have worked with and been assisted by a number of fine organists and pianists at St. John’s. She was a member of the University Choir at Valparaiso, University, and sang with the ACappella Choir and Concordia Singers at Concordia. She has sung with the St. Charles Singers and the Chaska Community Choir. With her children, she has enjoyed participating in theater through the Chaska Valley Family Theater. 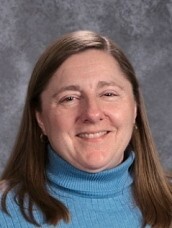 Mrs. Pallas is married to Jack Pallas and they have four children who have all attended St. John’s Lutheran School. 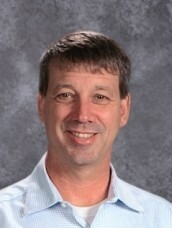 Chris has an associate degree in Math and Science from the University of Manitowoc, WI. Chris has over 20 years experience working as an office Manager. She worked as a Office Manager for Stephen Ministries, Head Teller for Iowa State Bank and Office Manager for Christ Community Lutheran School. While her children were young, she worked as an Education Assistant for the Westonka School District. She has been at St. John’s since May 2010. Chris has been married to Paul Krentz for over 34 years. They have three grown children and two dogs. In her spare time she enjoys outdoor sports, reading, and playing board games. Brad has been at St. John's since June 1998!